All of our products are tested and certified by an independent Australian ISO/IEC17025 laboratory. We take great pride and care in ensuring our products comply with the guidelines set by the Australasian Cemeteries and Crematoria Association, so that our customers are happy. So how do we test a coffin and casket? The coffin or casket is filled with sand bag to simulate the required weight capacity. All four handles of a coffin or casket is then suspended above ground for a certain amount of time. In suspension, the coffin or casket must then maintain this weight capacity, with no indication of damage to the handles or at the base. 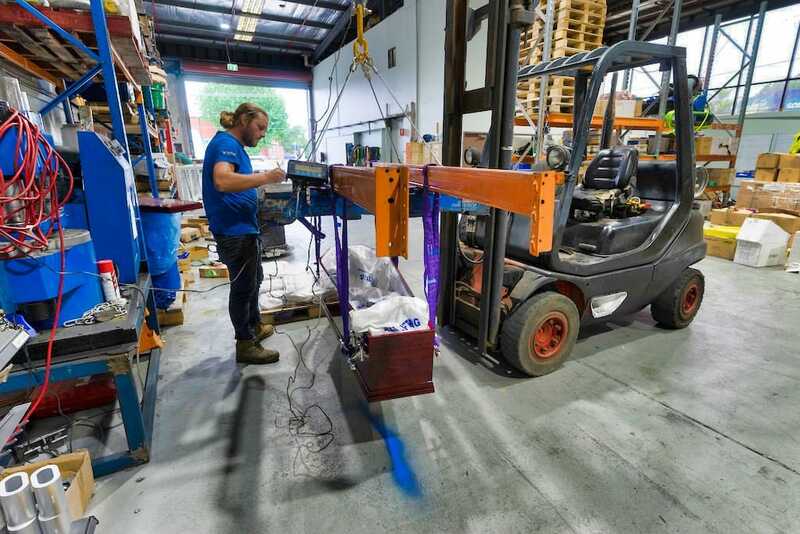 This strength testing aims to simulate how the coffin or casket is intended to be used and fit for purpose without the handles or base failing.